The safety surfacing specialists at PlaySmart spend most of their time working on large projects nationwide for lots of people to enjoy, be that Council owned play areas, tourist attractions or School facilities. For that reason, it makes a nice change to complete an installation in a private garden which we are often asked to do in our local area in the West Midlands. As the team are used to installing huge, complex areas, they can use the skills they have gained on these projects to achieve an incredibly neat and durable finish on smaller projects which are part of landscaping or garden works. We also use the same quality materials on a smaller installation as we would on a larger project, meaning the finish is of the very highest standard. If you’d like to speak to us about using our artificial grass at home, please feel free to get in touch! You can reach our experienced team directly on 01564 742 811 on by email at info@playsmartuk.co.uk. 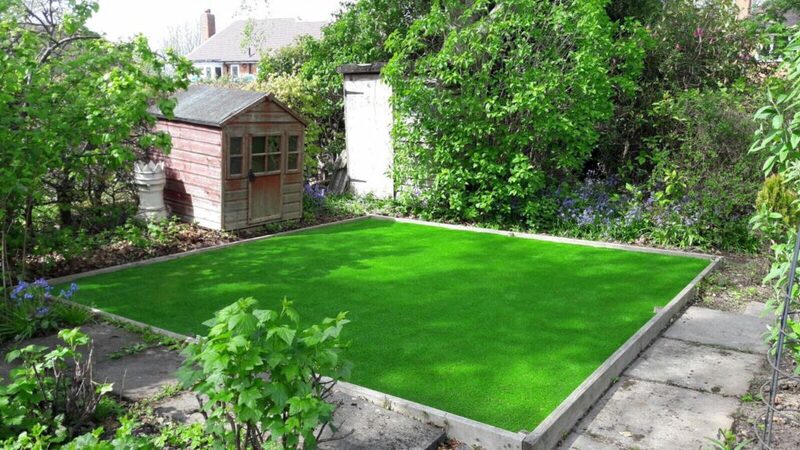 This example of an artificial grass installation in West Midlands is only a small part of services we offer. Why not take a look at our ‘How to choose a safety surface’ guide? Click below to find out more!